Do you often find yourself spending too much time commenting on idle industry gossip when you could be doing something more interesting? Well, now Agency Spy has recently posted a quick way for everyone to generate comments for any new post on Agency Spy — it is the automatic comment generator provided by AdAged. Okay, for those who don’t know AdAged, I highly recommend it. I’ve been linking to it on my blog roll for a long time. Written by George Tannenbaum, a brilliant creative and the funniest person I’ve ever known. 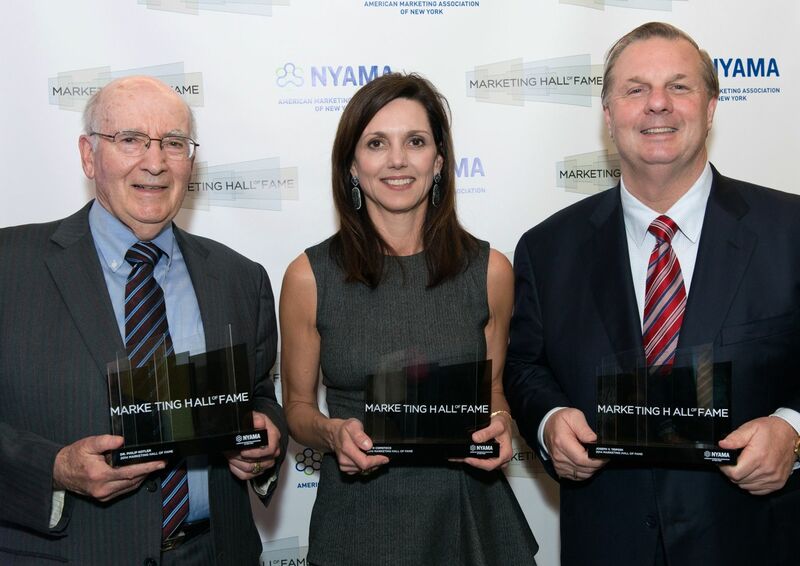 A big night in marketing this past Wednesday, when the 2014 Marketing Hall of Fame inducted 3 brilliant people — Beth Comstock of GE, Philip Kotler, distinguished professor at the Kellogg School of Management and Joe Tripodi of The Coca-Cola Company. The house was sold-out, SRO. The guests were also major-league influential marketers. It was great to see a large number of younger people attending, no doubt drawn to the evening by the great talks, the wine, food, more talks, and then more wine and food. A tremendous thanks to J. Walter Thompson…oops, JWT, I mean, for hosting the event and supplying that wine & food. Bernd Schmitt of Columbia Business School and author of many books including All Business is Show Business. Columbia is our academic partner in this endeavor, so we are very pleased so many faculty were able to join us. In fact, there were more than a few Columbia MBAs in the room. John Bernbach, president of Engine, who got a big shout-out from Joe Tripodi on the stage. More name dropping, updates and photos in future posts, along with some observations about the talks given by the honorees. If you were there and want to share your impressions, please send them in! On Wednesday night, 5/28, we will be inducting 3 people in the 2014 Marketing Hall of Fame. This marks a major turning point in marketing. The Age of Narrative Marketing is now ready for prime time. It was 10 years ago that Ad Age mocked the very idea of narrative as a strategic framework, metaphors as the keys to compelling communications and storytelling as the single most effective way to integrate digital and traditional media. The catalyst? A major talk by the CMO of McDonald’s revealing the secret for the company’s revitalization and leap in relevance, market share and stock prices — a new model for marketing, Brand Journalism, spearheaded by Larry Light. Among the detractors were Al & Laura Ries were among the loudest detractors, “The notion that McDonald’s should abandon the positioning philosophy and instead adopt a brand journalism approach is lunacy. Around the same time the ARF (advertising research foundation) was conducting a major industry study on the power of story being more effective than the traditional rational “proof point” or “reason-why”. 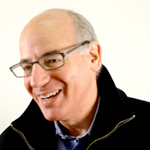 Gerald Zaltman was publishing widely on his research into the universal power of metaphor. And 10 years ago I introduced the Narrative Branding model of marketing. Douglas Holt of Harvard was demonstrating a model of “iconic” brands in which cultural storytelling was more important than the standard “positioning” or “USP” models. Lunacy, heresy, whatever you want to call it, the reality is that narrative models of marketing are far more effective than traditional positioning. How far has marketing gone in the direction of narrative marketing? When Liquid & Linked was revealed at Cannes it was received with awards. More importantly, it is helping the company to achieve it’s aggressive marketing goals. And that is what is most important. So join us on Wednesday as we are celebrating the brilliance of Beth Comstock of GE, Joe Tripodi of The Coca-Cola Company and Philip Kotler of Kellogg School of Marketing. Each one of them has broken with the old traditional model of marketing. The Coca-Cola Company’s model of Liquid & Linked is a prime example. Beth Comstock has elevated the role of marketing within GE to create new markets. And Philip Kotler is always at the forefront of where marketing is going, and particularly how marketing can promote positive social changes. Another sign of the new age is that several years ago JWT, our host for Wednesday night, embraced Brand Journalism, created videos around their version of the approach, held panels at SxSW and did much to promote the new model. The Commodore would be proud! APPLE Loves Verse! Yes, We Will Be Your Verse! This morning we discovered that Apple has written a love letter to us, Verse Group! And Apple put it right on the front page of the New York Times. Cheeky! Yes, a little past Valentines day but we can live with that. Apple’s Love Letter To Us! Hello Apple, we love you too. We will be your verse. Right up front we must tell you we’ve been in a nearly 20 year open relationship with Samsung. Our history together started when we co-created their global brand strategy that lifted them to world-class status. Yes, Samsung and Verse have had our ups and down, but the ups are wonderful. Apple, you might remember seeing the Samsung Mobile PIN Shops around London during the Olympics? But to be honest with you we were disappointed to discover Samsung was also spending time with other branding companies. It’s an open relationship, not exclusive. After all, we are the Verse of Magellan Health, Lockheed-Martin, Brident, Quest Diagnostics. What I mean is that we will be your Verse. Apple, we love you back. All of Verse loves you, designs with you, communicates with you, is vastly entertained by you. But until now you have been a bit stand-offish, practically ignoring me even though we were classmates of your sister Mona in grad school at Columbia (where she shone with her exceptional talent). Apple, in all candor sometimes you have seemed downright, well, narcissistic, yes, basking in the love of millions. That was the past. We see how you have changed, have developed the emotional security to share your love. Now you are declaring your love for Verse to the world! Guess who is the Apple of our eye! Thank you Apple. Thank you for recognizing that we are your Verse! You can link here to a fabulous interview with Michael Prentice, a PhD candidate who has been work in and doing research on the culture of Korean Chaebols. Michael is currently living in Seoul while conducting his research. His graduate studies are at the University of Michigan in Ann Arbor. We had the great good fortune of getting to know the exceptional Mike Prentice when he worked here at Verse Group. Through his work at Verse Group, Mike had the opportunity to work on high-level corporate branding projects for Samsung Electronics, Kia Motors, Cheil Worldwide and others. More importantly, he got to know the individuals at those companies, which sparked his interest in Korea. (Full disclosure, we are that un-named NYC-based marketing agency that Mike discusses early in his interview.) This is just one way that branding can change the very direction of a person’s life and set them on a new journey of exploration and discovery. His work is pioneering, very important for those of us in the West who do business with, or work for, Korean corporations. In 3 years, Mike has made many more insightful observations than I have during my nearly 20 years of working with Samsung and Cheil on their global marketing and branding strategies. Who Are You Nominating To The Marketing Hall of Fame? If you haven’t yet nominated an active marketer to the Marketing Hall of Fame, then there is still time! And it will only take you about 5 minutes. 2. Who will be Recognized? Innovators, leaders, thinkers, doers, across all marketing disciplines including research, academics, consultants and journalists. 4.What are the criteria for election? Innovators in developing other marketers. Mentors mean a lot!